This is ICloud Unlock (Remove Apple ID) service for all apple device in Lost & Stolen mode. This service supports all device with Owner massage, Lost mode, Stolen mode, Erase mode. 90% gadget done with this service. 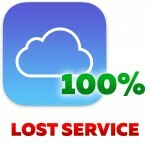 To check the status of ICloud, use this service - iCloud (checking Blacklist).